Back in June, we launched the live phase of the new Register to vote digital service, number one on our list of transformation exemplars. I can't overstate the importance of this project, and how proud I am of the team that made it happen. As most of you will know, the nature of voter registration has changed. It used to be very old-fashioned, with its origins in the Reform Act of 1832: a form was sent to your home, a form that had to be filled out by the "head of household" on behalf of every eligible voter who lived there. We don't think of "households" in the same way the Victorians did, and we certainly don't think of "heads of households" as they did either. Times have moved on. Now the law has been updated. Each voter registers individually, solely on their own behalf. No-one is beholden to a head of household any more. That’s why it’s called Individual Electoral Registration (IER). 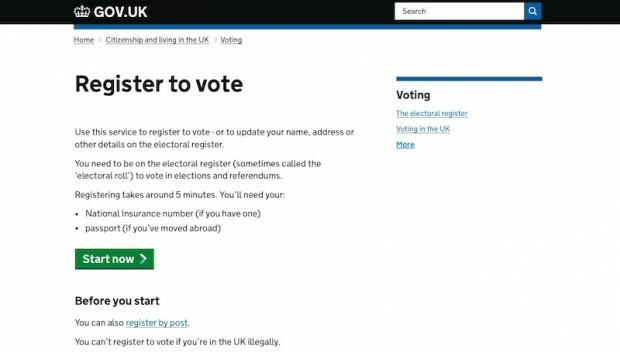 The digital service allows anyone to register to vote online, from any device connected to the web. It's incredibly quick and simple - it takes less than five minutes. All you need is your National Insurance number (or your passport, if you’re abroad). It’s so quick, you could be forgiven for thinking “Is that it?” when you’ve finished your registration. We spend a lot of time talking about the practical stuff behind the scenes (stuff like code and databases) which makes it easy to overlook the deeper, more fundamental change: this is how democracy works now. Voters are users too, and this service was designed to meet their needs. That was really easy. Really straightforward. The questions on each page are good - rather than having them all on one page. That's a good feature. I'd say it's probably the clearest thing I've ever seen. That's so simplified - that's good stuff. The way it's laid out - the forms, the spacing - it makes it relaxing to do. You can't really go wrong with it. This wasn't a small project. Some of the numbers are staggering: it supports 46 million voters registered with 387 local authorities 1. I could go on, but you get the idea, and you can get an excellent understanding of how the team did it by reading recent blog posts by my GDS colleagues Mark O'Neill (Changing the way we register to vote), Pete Herlihy (I fought the law and the users won), and Martyn Inglis (Under the hood of IER). They tell the story much better than I can, and with the passion you can only get from being part of the team that did the work. I will go on about one thing, though: the unsung heroes behind it all. You can see some of them in the photo at the top of this post. They are the IER Support Centre, providing crucial support for local authorities across the country as they make the switch to the new voting system. I had a brief visit to their office to meet the team and chat with Service Director David Kirsch-Mills, Operations Manager Marianne Ainsworth-Smith, Product Manager Greg Cusack, and Colin Dingwall, Programme Director for the Electoral Transformation programme in Cabinet Office. They explained how their work is split between two teams. Team one manages a one-off data verification exercise with data currently held by Local Authorities. There’s a lot of data to verify - on average, the team handles 1.95 million voter registration records per day 2. This data is what each authority already knows about its voters. It’s sensitive and valuable, so it has to be handled carefully. Uploads are done in batches, with each authority allocated a specific day to send its data. Each upload is checked to ensure all the data has been uploaded successfully, then gets verified against existing records. This process will continue through to mid-August. Team two does service support. They deal with technical issues and answer questions posed by the public through this form. Many other people from across government have helped build this new service, including the programme team in the Cabinet Office, as well as local authorities themselves – 387 teams up and down the country, whose efforts will ensure that the new register can support the running of elections. The Department for Work & Pensions and the Electoral Commission also played an important part. 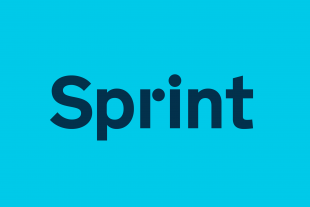 Now that work on the initial alpha and beta phases is complete, GDS is gradually handing over control and maintenance of the live digital service to this new team, who will look after it and further develop it from now on. One thing I say a lot is No More Big IT, and this team shows that in action. They do a job that in the old days would have been contracted out to a third party, at much greater cost and nothing like as quickly and efficiently. This team’s work will help make the electoral register data more complete and more accurate than it’s ever been before. It will help local authorities have greater confidence in the quality of their own data. And members of the public can register to vote in a matter of minutes, whenever and however it suits them. 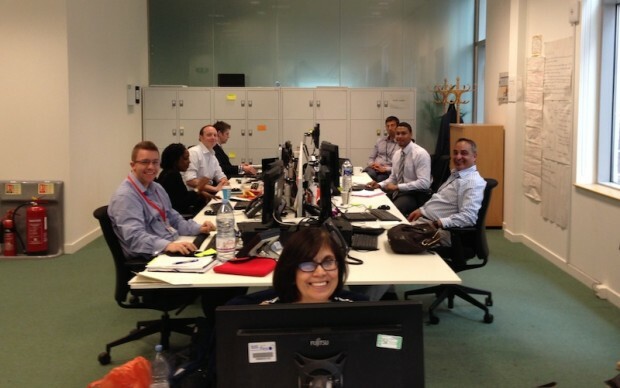 It might look like a small team in a small room, but the IER Support Centre is a great example of how things are changing in the Civil Service. It's a piece of the wider digital civic infrastructure, a living breathing system that makes useful data connections between other things. This is what future digital government services look like. 2. IER Support Centre figures.